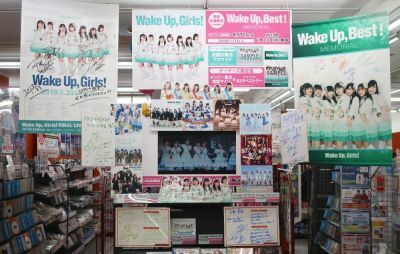 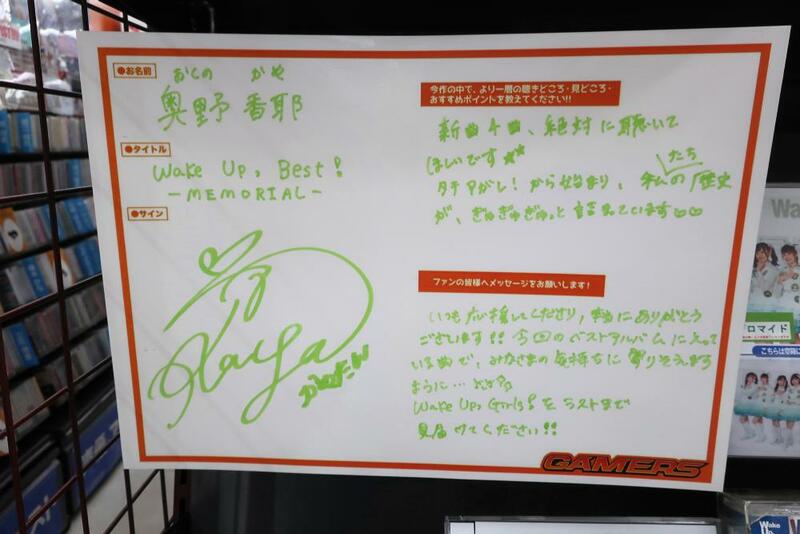 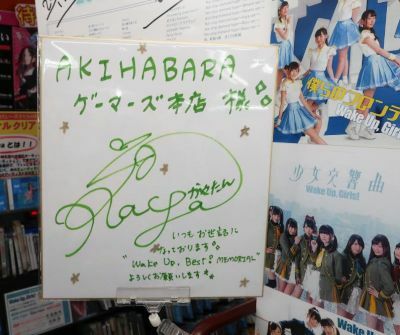 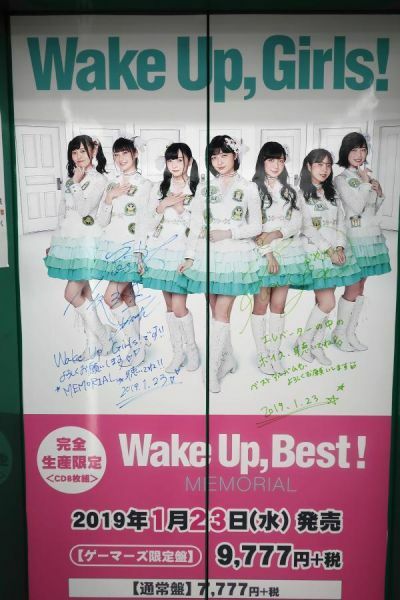 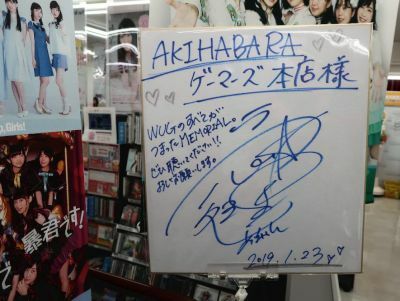 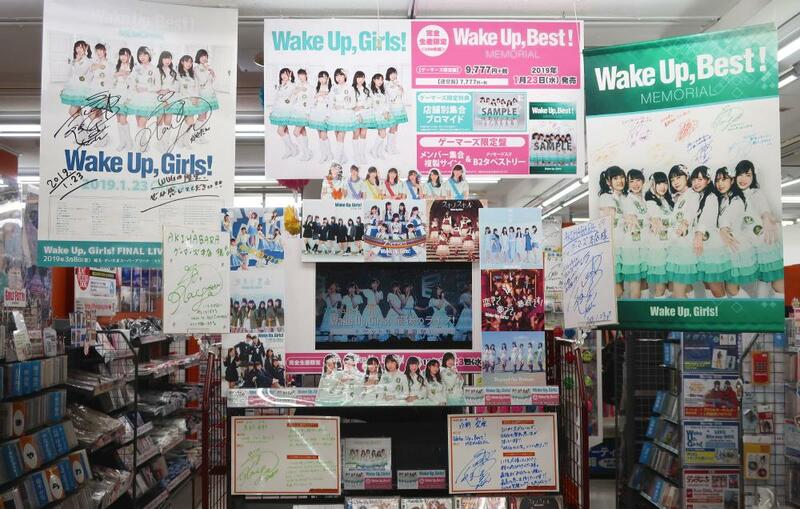 At the end of January and beginning of February 2019, there were displays at Gamers for the Wake Up Girls CD box, Wake Up Best Memorial. The 8 CD and 1 bluray box set went on sale 1/23. 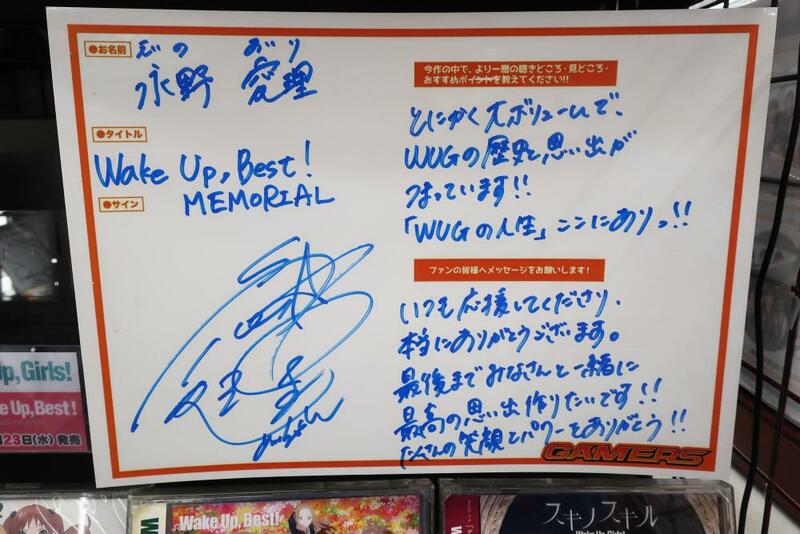 There were signature boards by Eino Airi and Okuno Kaya.